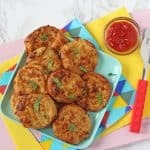 A healthy twist on an old family favourite. 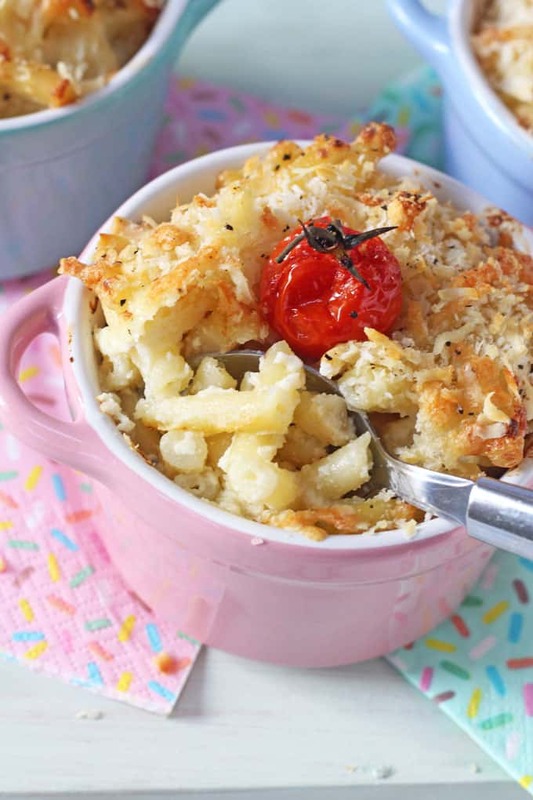 This Cauliflower Mac & Cheese is packed with hidden veggies that the kids can’t see or taste! 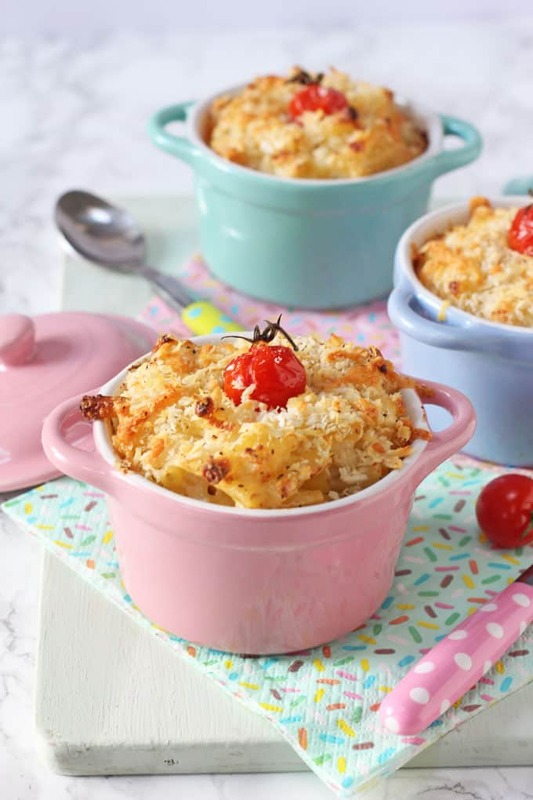 Macaroni Cheese is definitely up there in my top “go-to” family dinners. My kids and husband love it, it’s easy to make and I nearly always have the ingredients in my store cupboard and fridge to whip it up on busy days. With summer coming to an end here in the UK I know this is going to be back on our meal planning menu a lot over the next few months and so I decided to update my classic recipe with this healthier veggie-packed version! 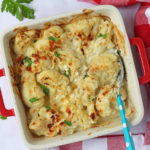 My kids are not fans of cauliflower and it can be tricky even getting them to try Cauliflower Cheese. So I decided instead to make a cheesy sauce using cauliflower which I could then bake in the oven with macaroni. The cooked cauliflower is blitzed in a blender with milk, cheese and butter, creating a delicious thick and creamy sauce. The kids absolutely loved it and they had no idea of my secret hidden vegetable ingredient! I used panko breadcrumbs to top my Mac & Cheese as they make an extra-crunchy topping but either fresh or dried normal breadcrumbs work well too. 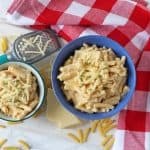 This is definitely my new favourite way to make Mac & Cheese for my family and it will make the perfect comfort food during the cold winter months! If you try this recipe yourself please do let me know what you think in the comment below. Or tag me in a picture on Facebook or Instagram using the hashtag #myfussyeater. I love seeing all your pictures! Cook the macaroni in a pan of boiling water according to the package instructions. Cut the cauliflower into small florets. Place in a saucepan with the stock cube. Cover with boiling water and cook for 5-6 minutes until the cauliflower has softened. Once the cauliflower has cooked, drain it and add to a blender, along with the milk, grated cheese, butter and dijon mustard. Blitz until all the ingredients have combined to a sauce consistency. If it seems too thick then add a little extra milk. Season with salt and pepper if you wish. Drain the pasta and return it to the saucepan. Add in the cauliflower sauce and mix well. 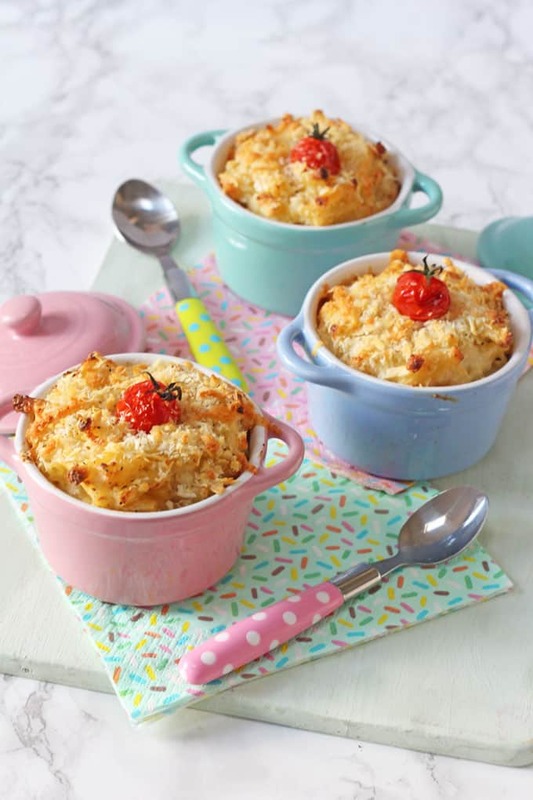 Transfer the pasta into one large or several small baking dishes. Sprinkle the extra cheese and panko breadcrumbs on top and finally finish with a whole cherry tomato. Bake in the oven for 10-15 minutes until the top is crispy. Allow to cool a little and then serve. This is a lifesaver dish for my family. I made it for first for my daughter’s birthday and it was polished off by the kids very quickly. Since then it has been a firm favourite. My 13 month old loved it! How long can it last in the fridge? Also, can I freeze it and if so how long can I keep it in the freezer? It will last 48 hours covered in the fridge and yes you can freeze it too. I would keep it max 3 months in the freezer. Another hit recipe thanks Ciara! This came out great! I changed it up, as I like stovetop mac. So I used a can of evaporated milk & eggs instead of regular milk (Alton Brown style). And added more cheese. Kids loved it! Yes the sauce will freeze well on its own. Thank you! Panko breadcrumbs makes the best mac and cheese topping! This looks delicious, and the dishes are adorable! I pinned it to save for later. Thanks for sharing! 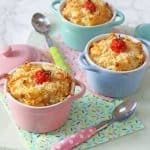 Macaroni cheese is a big hit in our house and I love the idea of adding cauliflower to the sauce, although I’m not convinced that my kids (or husband) won’t suss me out if I try this! I love your mini casserole dishes ???? Honestly, my lot had NO idea what the secret ingredient was. And they can usually smell a vegetable from a mile away!! !